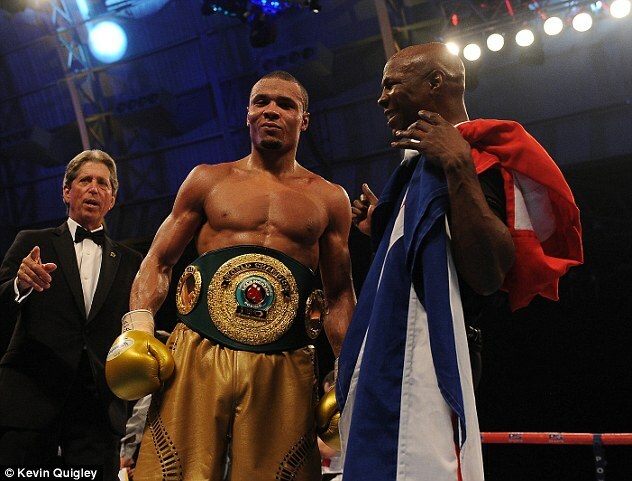 Eubank Jr-Paris Hilton, an item or stunt? The 27-year-old, who was pictured with Manchester United midfielder Paul Pogba at a recent Drake gig, wished the socialite TV star many happy returns as she turned 36. Eubank Jnr posted an image of the pair to his Instagram account on Friday evening and said: ‘Happy Birthday @parishilton’ who couldn’t hide her smile in the picture. 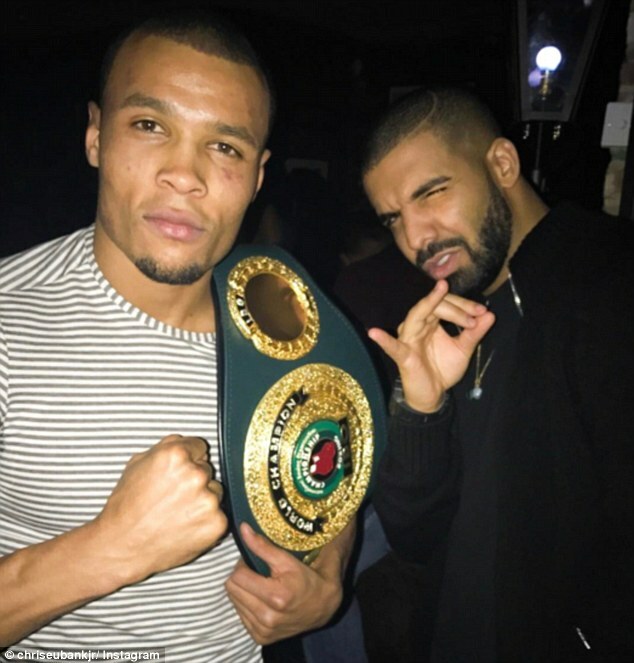 The newly crowned IBO super-middleweight champion Chris Eubank Jnr took his belt to see Drake as the ‘One Dance’ singer performed in front of thousands as part of his ‘Boy Meets World’ tour around the UK. 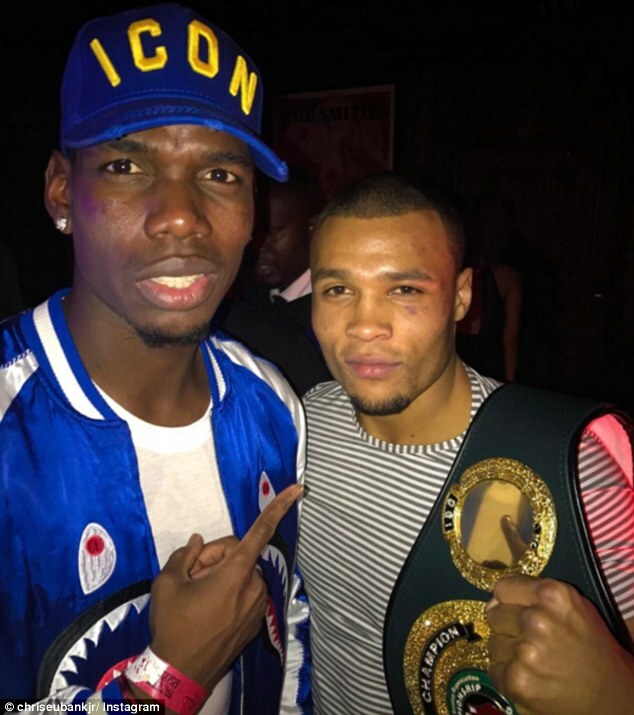 But the Canadian rapper may not have been the biggest star that Eubank Jnr bumped into in the VIP area after he managed to grab a photo with Pogba. Eubank Jnr shared the resulting snap with his 393,000 followers on Instagram and included the simple caption ‘Too Much Sauce’ alongside it. But he didn’t leave Drake’s big night without first meeting the man himself. Again with the belt draped over his left shoulder, he took a photo with the pop star, who himself appeared to be doing the famed ‘Salt Bae’ pose. 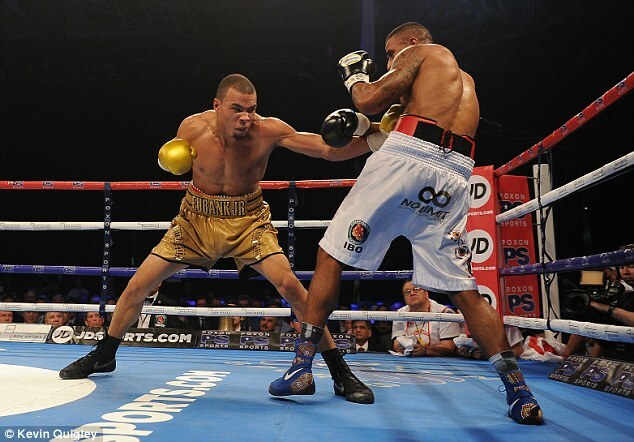 Still recovering from his ten-round victory over Renold Quinlan, Eubank Jnr can certainly afford a few nights on the town but attention will soon turn towards his next bout. Fights against Daniel Jacobs and Badou Jack have been mooted but he seems intent on facing Gennady Golovkin. There are immediate obstacles to such a fight, however, with Triple G scheduled for a title defence in New York next month and then a possible fight against Canelo Alvarez in Las Vegas. Both James DeGale and Billy Joe Saunders face mandatory defences, while Jack is hoping Andre Ward won’t retire before they fight.